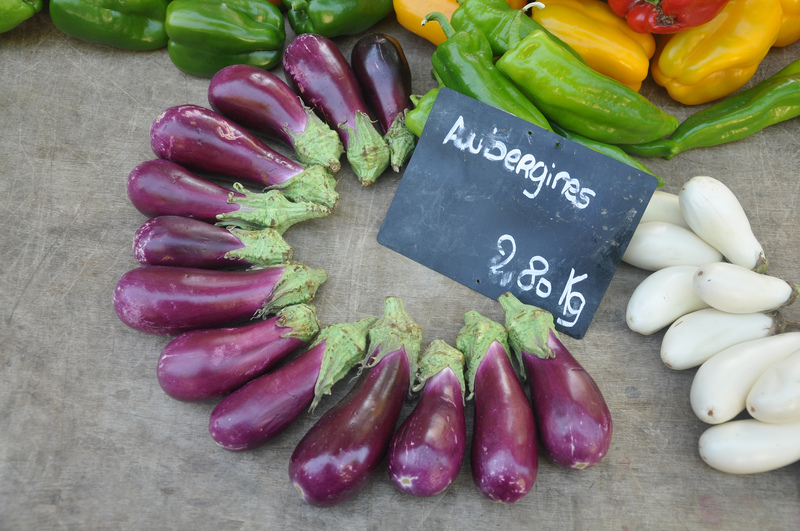 Discover the “cuisine of the sun” on a market-to-table cooking week in Provence. During this five-day food-lover’s week that includes four hands-on, full-meal cooking classes, market tours, guided visits to food, wine and pastry shops, a fun introduction to Provencal and Southern Rhone wines and wine & food-tasting evening, and a food and wine excursion to the picturesque Luberon Valley. This cooking week is for small groups, limited to a maximum of eight people. Daily classes are held in Aix-en-Provence and you will have the chance to tour and shop the Aix-en-Provence daily market and on its big market days with Kathy. Accommodations are not included, but we are happy to assist in arranging them for you. You can choose a 5-star hotel in the city, boutique hotels or vacation apartments. MAKE THIS A PRIVATE GROUP VACATION: You can easily make this a private group vacation for a friends’ getaway or family event for any dates throughout the year. For more information, complete the vacation information request form with dates you’d like to book or questions about the course. To secure you spot on the trip, a non-refundable deposit of $900 per person is required. The remaining balance is due 90 days prior to vacation start date. **Airfare, accommodations, transportation to Aix-en-Provence, travel insurance, meals not mentioned above, and expenses of a personal nature (souvenirs and other personal items) are not included in the cooking week package price. For the Provence Cooking Week, you should plan to arrive in Aix-en-Provence the afternoon before Day 1 of the week and to leave Aix-en-Provence the day after Day 5 of your week. Welcome Champagne Apero – Before your cooking week begins, Chef Kathy invites you to an evening apero with Champagne and Rose’ wine. You’ll be able to meet fellow cooking-class guests and mingle over this classic Provencal evening of wine and gourmet nibbles. Meet Chef Kathy in Place Richelme, the location of the daily market in Aix-en-Provence. Learn about the market and its history as you shop with her for some of the ingredients for today’s cooking class. After shopping at the market, you’ll take a short walk to the fromagerie and learn a little about French cheese. Kathy will purchase some cheese for the evening’s wine & cheese class. The cooking class location is just minutes from the daily market. Together you will make a Provencal lunch, making a starter, main dish, vegetable side and dessert. You’ll enjoy a Provencal wine with your first and second courses. Class will end once the meal is over, at about 4:00pm. In the evening you’ll meet back at the class location for a fun evening of wine and cheese. Learn about the whites, rose’s and reds of Provence and the Southern Rhone on this fun evening together that includes a food pairing with the wines you’ll sample, including the cheese you purchased with Kathy earlier in the day. Meet Kathy this morning, this time on the Cours Mirabeau, to start our tour of the Grande Marche’ (big market day in Provence). Kathy will explain what big market day is and lead you along all five parts of the market that wind around the entire historic center of Aix-en-Provence. You’ll meet and talk with vendors and shop for ingredients for the day’s cooking class. You’ll also visit two local pastry shops and sample Viennoiserie before your market tour and purchase a sampling of classic French pastries for after your meal today. After the market tour, we will have lunch together at a bistrot in Aix-en-Provence. After lunch you’ll have time to relax from the morning’s activities before our afternoon cooking class begins. Today during class, learn the secrets of making stocks and sauces during your cooking class. Enjoy the starter and main course you prepared along the pastry sampling purchased during the morning’s market tour. Today we’ll take a break from the kitchen and spend the day in the lovely Luberon Valley. Visit villages named the most beautiful in all of France. We will visit Roussillon and Lourmarin, and depending on the day of the week a village on its market day. We’ll have lunch in the Luberon countryside and visit a winery to taste more Provence red and rose wines. Meet Kathy this morning in Place Richelme. Together you will meet the local fish monger and purchase fish and seafood for today’s meal. Stop at the daily market on the way to the cooking class to pick up the remaining ingredients needed. Today class is all about the sea as you learn to make Provencal classics, a “baby” bouillabaisse,” Shrimp in Pastis and a classic French dessert. Lunch will be what we make in class and accompanied by local white and Rose wines. Meet Kathy in the morning for our final day at the market together. Shop for the ingredients for today’s three-course, market meal. After the market visit, you will create together a Provencal market-based meal and French dessert. Lunch will be what you made together paired with Provencal wines. This evening you will meet together in the center of Aix-en-Provence for your farewell dinner with Kathy at one of her favorite restaurants in town. NOTE: Sequence of classes and activities may vary. The final itinerary will be provided one month before the start of your cooking week.